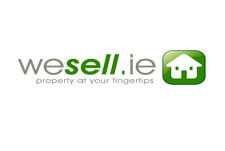 We charge a fee of 1.5% of the sale price subject to a minimum fee of €1,500 +VAT. This may be subject to variation depending on the property being sold. Our initial consultations are free and no fees will be incurred without your written and signed agreement. Our initial consultation will involve a full discussion on fees and what we agree will be committed to writing. Outlays incurred for signage and advertising can be paid in full when the property is sold or at a reduced amount if paid in advance. Please note that we do not take booking deposits. They are of no legal consequence. The vendor and purchaser are legally bound only when the contracts have been signed by both parties and the contract deposit paid. The normal deposit payable on signing of the contract by the purchaser is 10% and this is furnished with the contracts to the vendors solicitor who holds it as a stakeholder. If we act as your sole agents we will provide a full legal conveyancing service for a special professional fee of €950 + VAT + outlays. This fee will not apply to commercial or agricultural property. Again, all fees will be agreed in advance and committed to writing for your benefit.